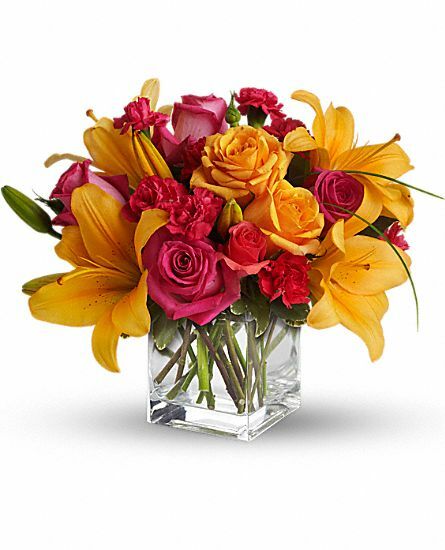 Whether it is something big or small, the key to Administrative Professionals Week is to simply take time to reflect on the great work that is taking place around you every minute in your office. You may have one or dozens of people you want to say Thank You to. We can help! 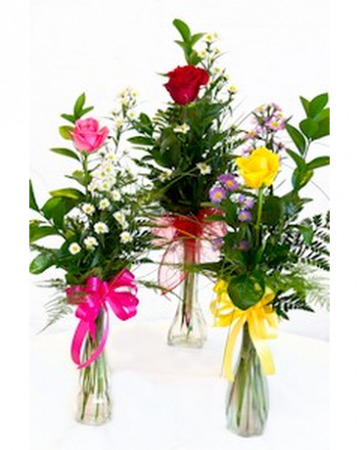 We have bud vases with one or more flowers. 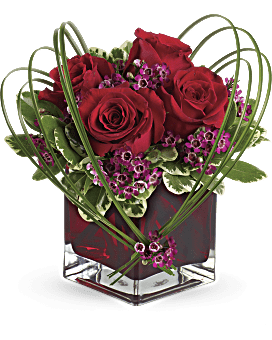 Large beautiful arrangements. Green and blooming plants. We also have small plants in ceramic containers or colored glass cubes. Don't see what you are looking for- no problem! Just give us a call with your budget and see what we can do for you. Admin Professionals #1 Vase of multi colors of Alstromeria's As pictured $70. We can make smaller for $55. $60. $65. or larger for $75. $80. up to $200. Admin Professionals #2 Tall vase of colorful mixed flowers. As pictured $150. can be made smaller for $125. or larger for $175. $200. Admin Professionals #3 Shorter arrangement in cube vase great for a desk. 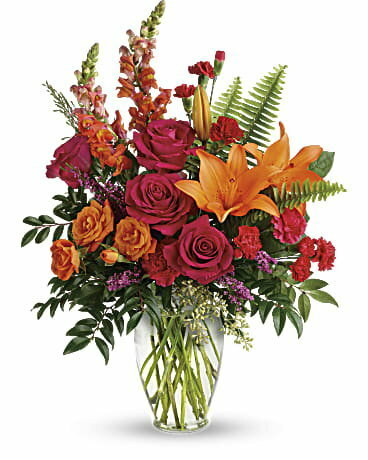 Mixed colorful flowers As pictured $85. can be made smaller for $75 or larger for $95. $115. 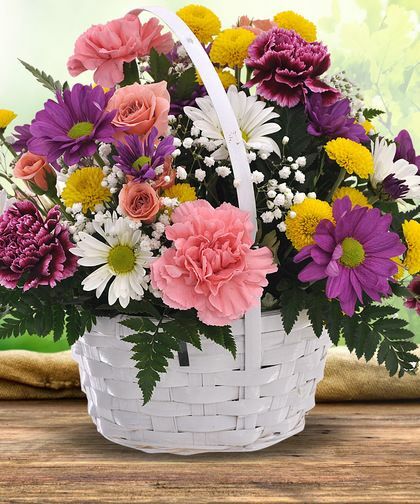 Admin Professionals #4 Closet plant in basket great for a gift that they can keep and grow. As pictured $65. We carry plants from $50. $60. $65. $75. up to $200. Admin Professionals #5 If you need several or many people to buy for we have smaller less expensive optons also. Small green plants in ceramic containers. Plants vary as available. Admin Professionals #6 Want a vase but have lots to buy for. 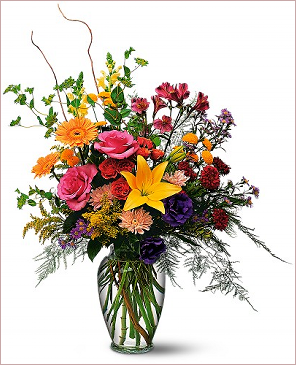 We can make you a budvase with one or more flowers in it. Gerbera Daisies in a vase. You can choose 1, 2 or 3. We have a large variety of colors of gerberas. Admin Professionals #7 Budvase of one rose with filler. 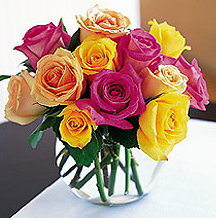 We have roses in Red, White, Yellows, Oranges, Purple and other shades. Admin Professionals #8 Glass cube with roses as pictured $60. we can make it larger for $65. $75. $85. to $100. other colors also available. Admin Professionals #9 Bud vase of Alstromeria lilies. 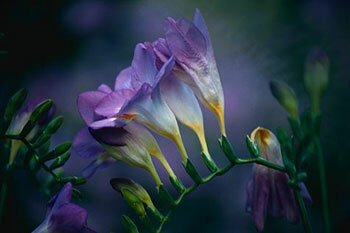 We carry a wide variety of colors of alstromeria so if you need several they can be alike or all different. 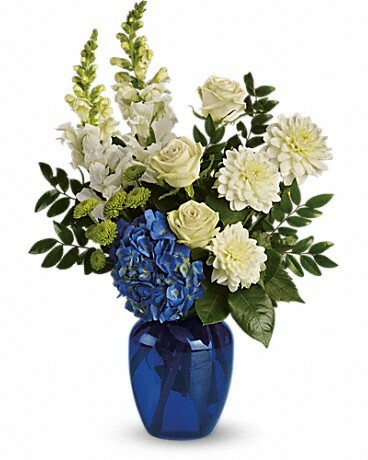 Tall fresh floral arrangment as pictured $150. can be made smaller for $125. or larger for $175. $200. Admin Professionals #13 as pictured $85. Mixed bowl of roses-can be made for $65. $75. $95. up to $200. Admin Professionals #14 As pictured $85. can be made smaller for $75. or larger for $95. $115. $125. 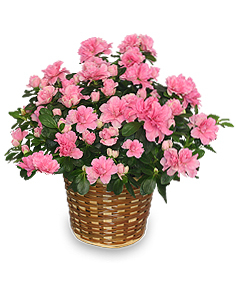 Admin Professionals #15 Blooming Azalea plant $65. As pictured $80. can be made smaller for $75. or larger $95. $115. $125.